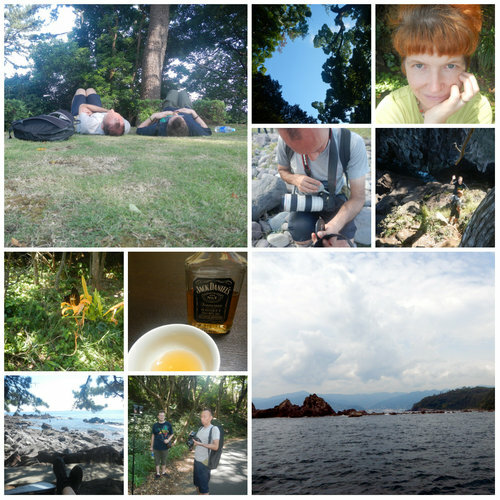 Tod, Rob & I took an impromptu trip to Manazuru, a rocky little cape in Kanagawa, this weekend. We hiked, relaxed, ate a lot of fish, took a lot of pictures, dipped in the ocean, hooped on the pier, played music in the forest, chased butterflies, climbed thousands of stairs, and wandered along mysterious paths to power spots. An excellent weekend.